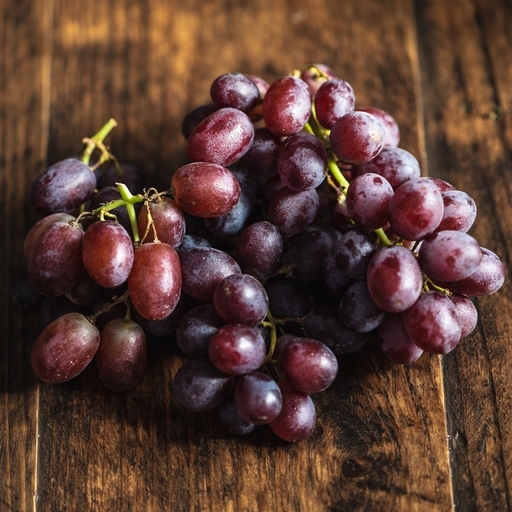 Red seedless grapes chosen for sweet, juicy flavour. Varieties include Lavelle, Carnival and Red Flame. Enjoy straight from the bunch – no pip spitting required! Try them mixed into a fruit salad, on top of your morning muesli, or as a pop of colour and sweetness alongside our organic cheese. Store in a fruit bowl or fridge when ripe. Delivered fresh from the farm, so wash before eating. The red grape varieties we source - purple or red in colour - include Alphonse Lavelle, Cardinal and Red Flame.